RBI’s affidavit was filed in response to a reply sought by a bench led by Chief Justice T S Thakur, which had last month taken suo motu cognizance of The Indian Express report that Rs 1.14 lakh crore of bad loans had been written off by state-owned banks. The RBI conceded before the court that it does not have information about loan accounts, involving Rs 500 crore or more, which were restructured before June 2014. THE RESERVE BANK of India has submitted to the Supreme Court a list of defaulters owing Rs 500 crore or more to public sector banks just three months after the apex court ruled that the RBI is “clearly not in fiduciary relationship with any bank” and that it cannot hide information solely because of the embarrassment it may cause. But while submitting the list, the RBI said it was “extremely necessary” to keep these names confidential due to their “fiduciary relationship”. The RBI conceded before the court that it does not have information about loan accounts, involving Rs 500 crore or more, which were restructured before June 2014. It insisted, however, that disclosing the names of the biggest defaulters would dent the “fiduciary relationship” between the RBI and the banks, and between the banks and customers. “Disclosing personal information which is fiduciary in nature with regard to banks by a statutory body (RBI) would defeat the very purpose of having fiduciary responsibility on the part of banks. For these reasons, it is extremely necessary to keep the confidentiality of the information provided along with this affidavit,” said the RBI while submitting the list for the period between June 2014 and December 2015 in a sealed envelope. RBI’s affidavit was filed in response to a reply sought by a bench led by Chief Justice T S Thakur, which had last month taken suo motu cognizance of The Indian Express report that Rs 1.14 lakh crore of bad loans had been written off by state-owned banks between 2013 and 2015. The RBI’s submission regarding “fiduciary relationship” with banks has already been rejected by the Supreme Court in its judgment on December 16, 2015. However, the RBI has maintained that while sharing the details of defaulters with other banks may help them address “bad behaviour” of borrowers, putting such names in the public domain may dissuade legitimate risk-taking and investments by good and well-intentioned promoters. 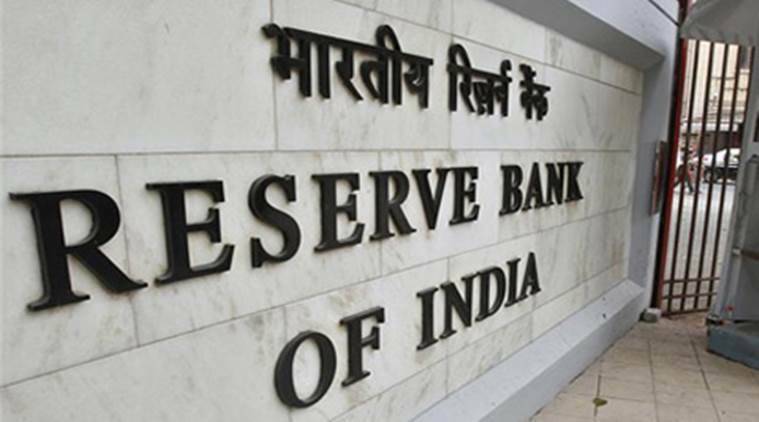 “Disclosing details of accounts where defaults have been found irrespective of the reasons therefore may have adverse impact for business and in a way may accentuate the failure of business rather than nursing it back to health,” argued the RBI in its affidavit. It stated that the reasons for default could also be due to factors beyond the control of borrowers. Bad loans, the RBI said, are written off in the books without forfeiting the right to recovery and that banks keep a record only for prudential and accounting purposes and not for indicating default. Asking the government and the RBI if they were “happy” to keep funding the entities that declare themselves as sick companies but lead “lavish lifestyle”, the bench had sought to know the steps being taken to recover the bad loans and fixed the matter for hearing in mid-April. The court was hearing a PIL filed in 2003 by NGO CPIL regarding alleged irregularities in advancing loans by the Housing and Urban Development Corporation Limited (HUDCO) when its counsel Prashant Bhushan handed over The Indian Express report, pointing out that the problem of bad loans has assumed dangerous proportions. On February 9, The Indian Express reported that an RTI response from the RBI had revealed that while bad loans stood at Rs 15,551 crore for the financial year ending March 2012, they shot up over three times to Rs 52,542 crore by the end of March 2015. The government has been trying to shore up public sector banks through equity capital and other measures even as bad loans written off between 2004 and 2015 amounted to more than Rs 2.11 lakh crore. 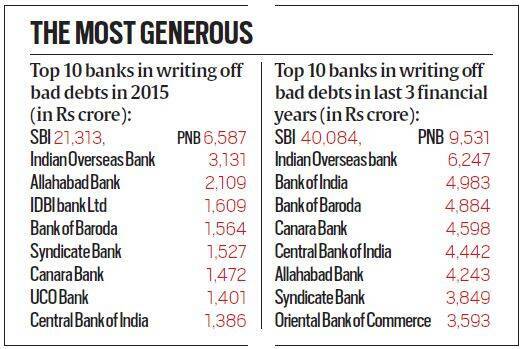 More than half such loans (Rs 1,14,182 crore) were waived between 2013 and 2015.